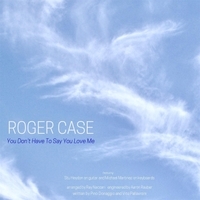 The recording, by vocalist Roger Case, features Carmel musician Stu Heydon (award winning blues guitarist and Canada South Blues Museum Hall of Fame inductee) and Monterey musician Michael Martinez (Big Sur International Marathon’s Grand Piano Man) on keyboards. The project was engineered by Aaron Rauber at Carmel Recording Studios. The song was originally written by Pino Donaggio and lyricist Vito Pallavicini, with Italian to English translation by Vicki Wickham and Simon Napier-Bel. The music for the single was arranged by Ray Naccari of Brooklyn, NY.